For this week’s #MIVReveals we’re talking to serial entrepreneur, public speaker and consultant, Scott Eddy. Scott started his career as a stockbroker, but realised before long that his passion and talent wasn’t in connecting dots, but connecting people. Now a serial entrepreneur and the digital ‘go-to’ guy, he’s fully immersed into an industry where personal experience and storytelling is the key to success. Scott follows his passions and entrepreneurial instinct to different opportunities, and never tries to limit himself. Currently focusing on public speaking, advising (to Global Entrepreneurship Thailand) and consultancy, Scott sees himself as the link between entrepreneurs and the rest of the world. Through 15 years of globetrotting and always seeking out new connections, he has developed a comprehensive list of resources that could help any kind of entrepreneur launch their dream company. Whether you’re after the best lawyer, a top development team for your mobile app or help writing your business plan, Scott has been through it all and is happy to share his experiences. Scott’s main passions lie with statups – the concept of creating something from absolutely nothing, social media, and travelling - experiencing new cultures and meeting all different kinds of people. 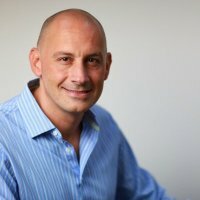 Now based in Thailand, Scott has also lived in Spain, Portugal, the Philippines and the UK. Are you an entrepreneur with an exciting product or service? If so, we’d like to hear from you! Get in touch with us at info@miventures.co.uk!